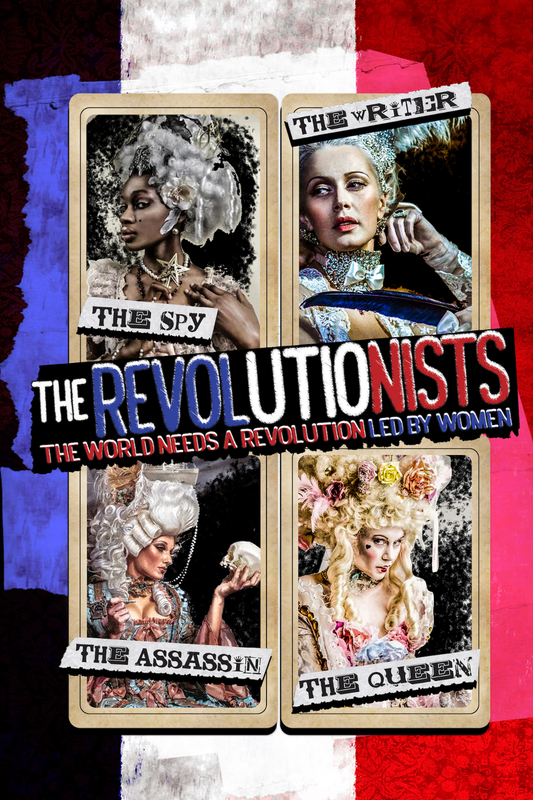 A smash hit across the country this past year, The Revolutionists underscores some of the reasons why the versatile, prolific playwright Lauren Gunderson has become the most produced playwright in regional theater. THE REVOLUTIONISTS is a brutal comedic quartet about four very real women who lived boldly in France during the French Revolution’s Reign of Terror (1793-1794). Gunderson's masterful script builds verbal anachronisms, meta-jokes, playful banter, and true historical events into a stirring finale as each woman faces her inevitable fate. In the end, it is a story of how important a woman’s voice can be, even in the darkest of times. A brave and blisteringly funny new work about feminism, legacy and standing up for one’s beliefs. Call the Box Office for Student, Senior, Military, Artist and Group rates.